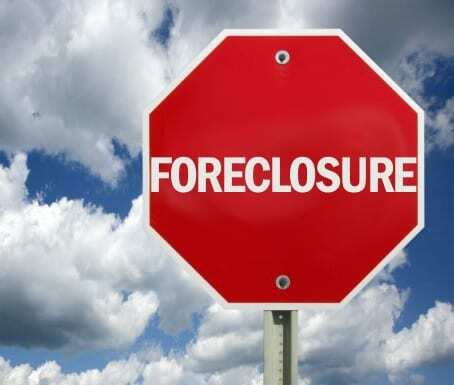 So you have been notified your house is going to be foreclosed on. You have options! The foreclosure process generally begins after the third missed mortgage payment. There are generally ten strategies for avoiding foreclosure. I have broken down these strategies down below depending on whether you want to keep or get rid of the property. The availability of these options will depend on the mortgage company that holds or services your loan. You should confirm that the option of your choice is available and that you qualify for the option. Up until the time your home is scheduled for auction, you can reinstate your mortgage by paying all missed payments, late charges, attorney fees and costs. In the event you choose this option at the last minute, be very carefully to confirm the reinstatement amount, that the funds have been received and that sale has been halted. In cases where the foreclosure is triggered by defaulting on the mortgage payments versus non-payment of taxes or other terms or conditions that might trigger a foreclosure, refinancing may not be an option due to the damage to your credit score. However, where significant equity exists in your property, the chances of refinance are improved considerable. Refinancing will bring your property current and may improve the terms of the mortgage and make the payment more affordable. A repayment plan is generally available when a person falls behind slightly. “Slightly” is generally one or two months. Once a person is into their third missed payment the mortgage companies internal policies generally require the loan to be forwarded and further managed by their “default or pre-foreclosure department”. Forbearance may be available in situations where you are faced with a temporary financial setback due to illness or other temporary loss or decrease in income. In general, you need to prove the temporary nature of the reduction or loss of income. Adjusting the terms of the loan is considered a modification as opposed to a refinance where you are qualifying for an entirely new loan. What many people fail to understand about this option is that qualifying to modify the loan is not based on what you can afford but on whether to can afford the amount dictated by the the terms the mortgage company is willing to modify. To be more direct, the monthly amount the mortgage company is willing to adjust the mortgage payment to is not magic. It is a simple calculation, which you can do on any free internet mortgage calculator, based on the principle amount of your mortgage loan, the new interest rate and new term or length of the loan. The “principle” amount owed is seldom reduced. However, there are some “principle reduction” programs out there so it doesn’t hurt to ask. Filing any chapter of bankruptcy immediately stops a foreclosure. A Chapter 13, which is a repayment plan, will allow you to catch up on the missed payments over a five year period while you resume the regular monthly payments. Chapter 13 is very useful when you can afford the monthly payment but the mortgage company is just not working with you on the missed payments. Chapter 13 is not a great option when your income has changed so significantly that you cannot afford the current monthly payment. Don’t give up though, there are possibly other strategies an attorney can help you with to save the house. These strategies include where a second mortgage or equity line may be eliminated. Contact us today to explore your options. This is obvious. The only question is can you sell it for what you owe and before they foreclose? If you are unable to afford your property or are just interested in getting out from under the mortgage a short sale is an option. A short sale is when you sell the house for less than you owe on the mortgage or mortgages. In order to short sell a property you will need the mortgage lender or lenders’ agreement. While they may give you a “go-ahead” to list the property for a short sale, this does not mean that they will accept any offer. They need to approve the offer that is made. If you have two mortgages on a property with two different lenders, it is generally more difficult to get the second mortgage lender to agree. They are the one that will be taking the greatest, if not all, the loss. A deed in lieu of foreclosure is the transfer of the property ownership or deed back to the mortgage lender to avoid foreclosure. It is voluntary, quick and inexpensive. It sounds like a great option, however, the mortgage lender will not always want the property back via this means. If the lender accepts a property via a deed in lieu, they accept the title with any and all liens. In a situation where a second mortgage exists or they are worried about judgment or tax liens on the property they lender is less likely to accept the property via a deed in lieu. There are very few assumable loans anymore. Most mortgages contains a “due on sale” clause by which the borrower agrees to pay the loan off entirely if and when they transfer the property. You need to check your deed of trust or mortgage contract to see if this option exists. This is still a sale of the property, however, the ability for a buyer to assume the loan increases the chance that the property can be sold quickly and a foreclosure avoided. There are other options available that are more unique and complicated. Talk to an attorney about them. Additionally, when a property is sold or transferred, a tax consequence or liability may occur. Speak to a certified public accountant before you take any action to transfer the title to a property. If you are in a situation where you need assistance give us a call at 800-662-8813. We may be able to guide you in the right direction. Also, if you found this article helpful I would appreciate it if you would Google+1 the article at the top of the page to make it easier for others to find the information.